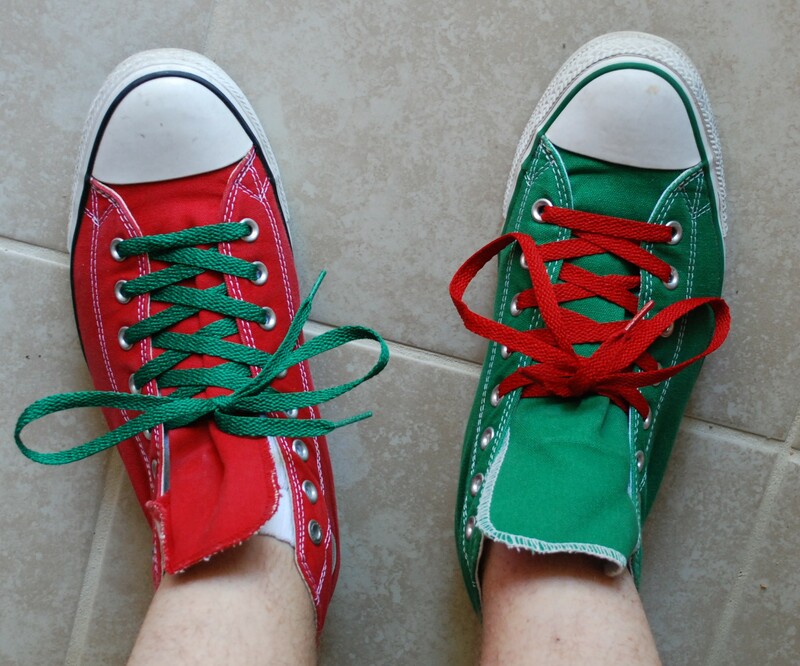 The last two years I have used a pair of red and green converse to give myself some festive footwear. I took it to a whole new level with some zazzy laces. Barely a craft project, but I am so happy with these that I had to share. I have an alternate left/right pair so I can switch off every day. Next year? Bells!